Arriving in Zagreb Magan and I met up with John, Sharon, Mary Grey and Matthew. While it seems John has a habit of meting us in every continent, we hadn’t seen the others since January. It was great getting the family together and spending some time with everyone. While in Zagreb we climbed one of the nearby mountains which was a nice day-trip and good way to get some exercise near the city. 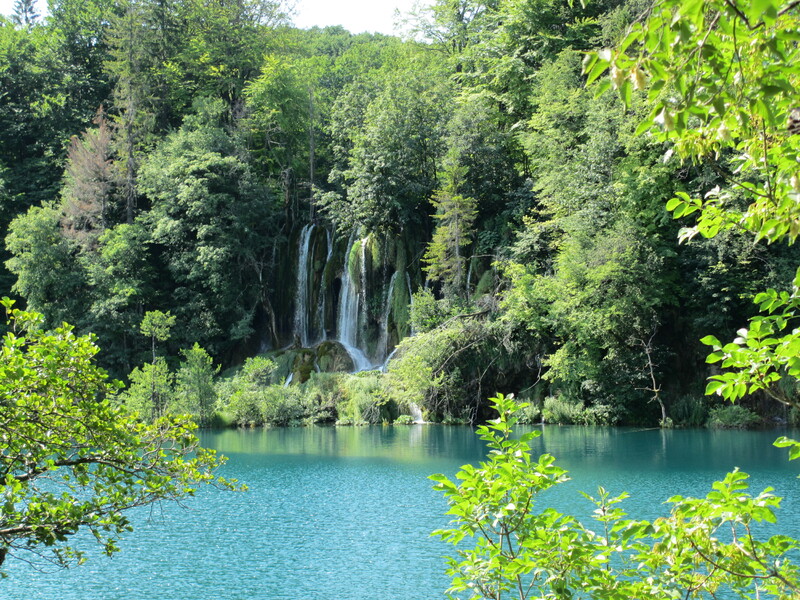 The next day we took off in our Hyundai Santa Fe for the Plitvice Lakes. 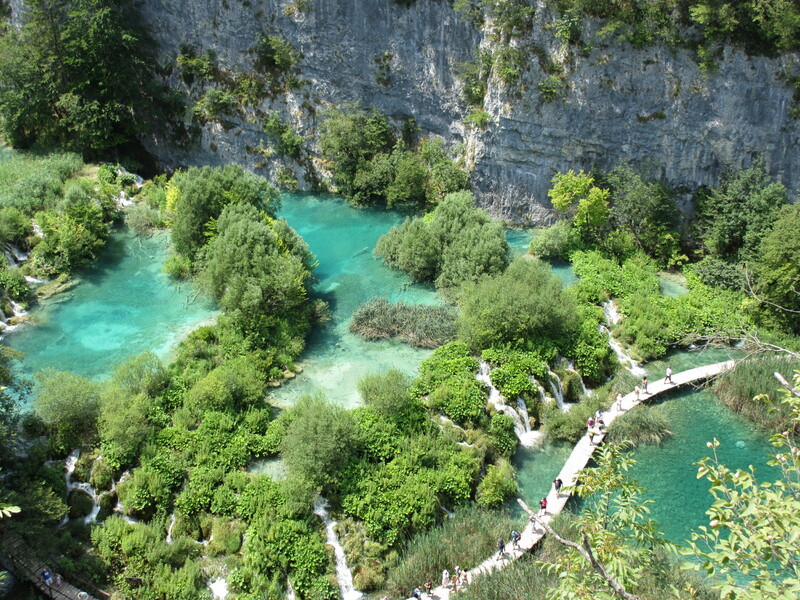 These lakes are one of the top spots of natural beauty in all of Europe. 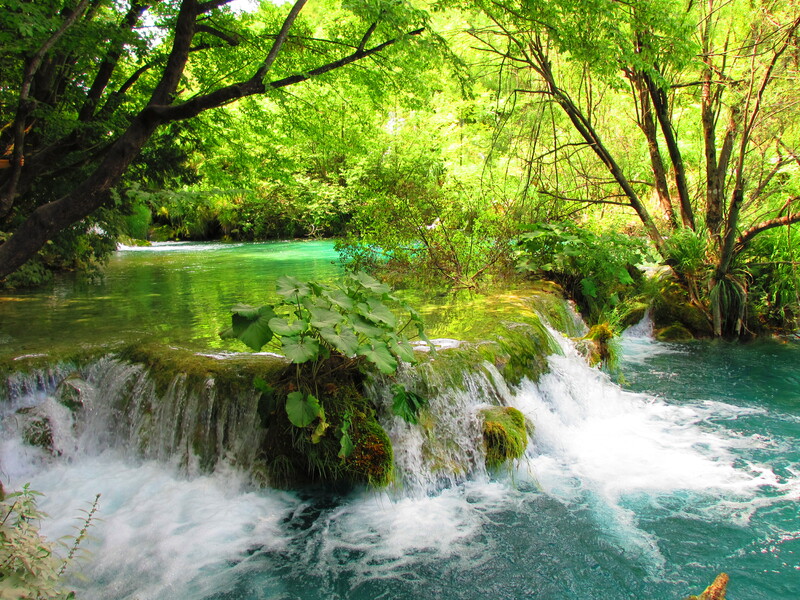 They are surrounded by lush green forest and filled with clear blue water creating a unique landscape. 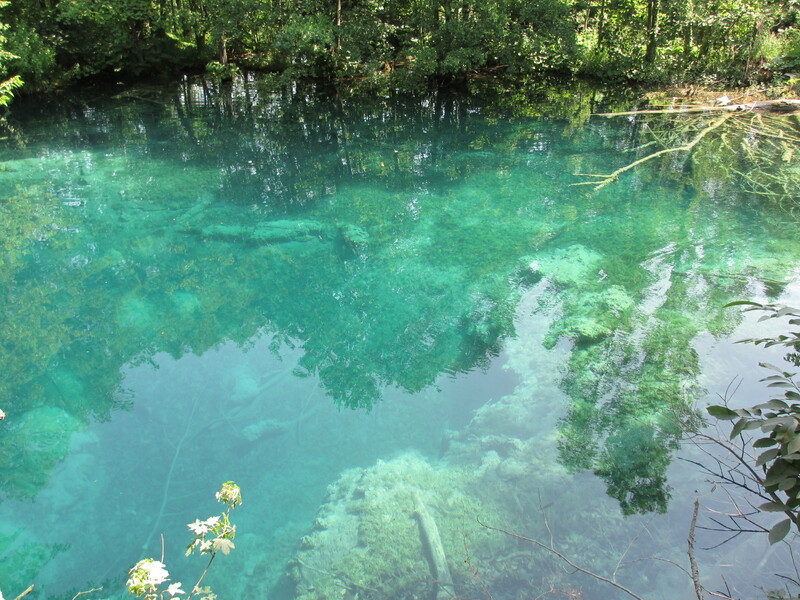 The park has easy hiking trails and wooden plank walkways crossing over the lakes and through the wooded areas. 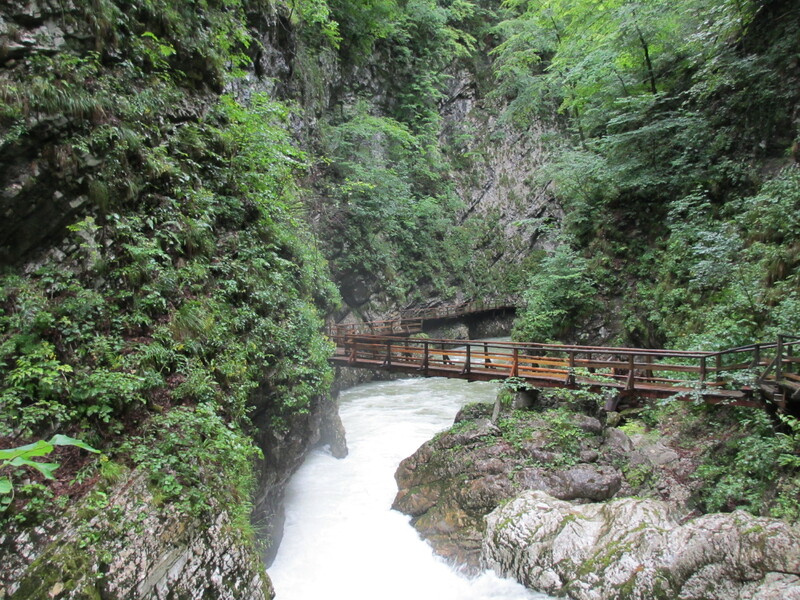 Every direction we looked we saw immaculate natural beauty. Every waterfall or lagoon seemed to have distinct features making it different from every other location, but still flowing seamlessly to form an incredible hike. This landscape is certainly in the top 5 ‘best natural beauty’ category. 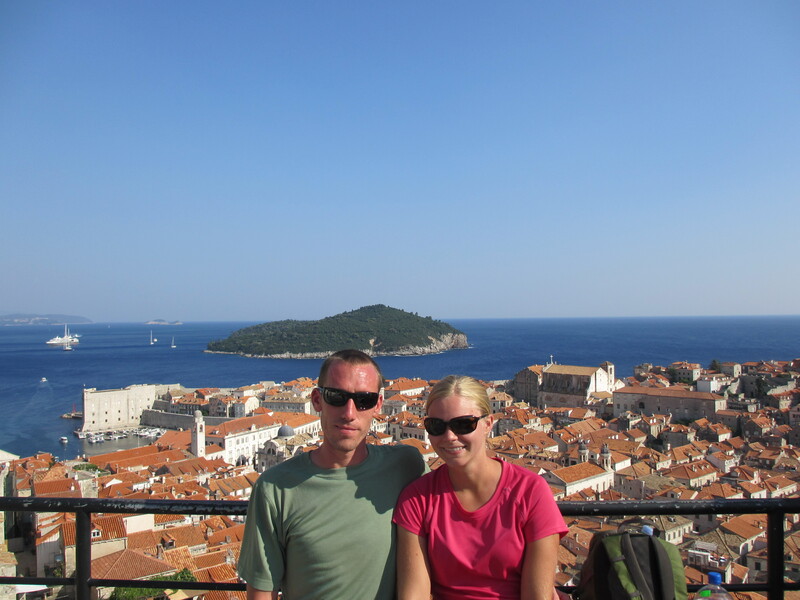 After the lakes we headed south to the Dalmatian coast where we spent time in Dubrovnik and Split. 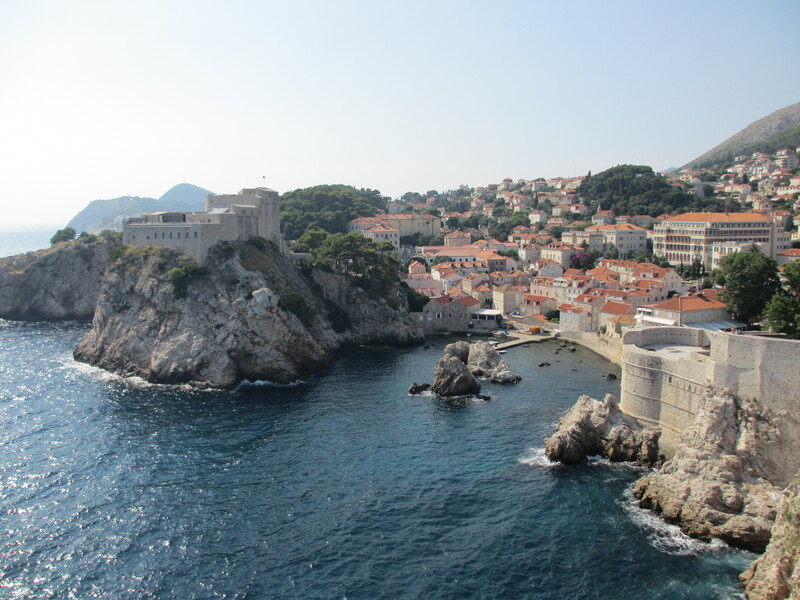 Dubrovnik is a true tourist town, but rightly so. It is the quintessential medieval Mediterranean town. 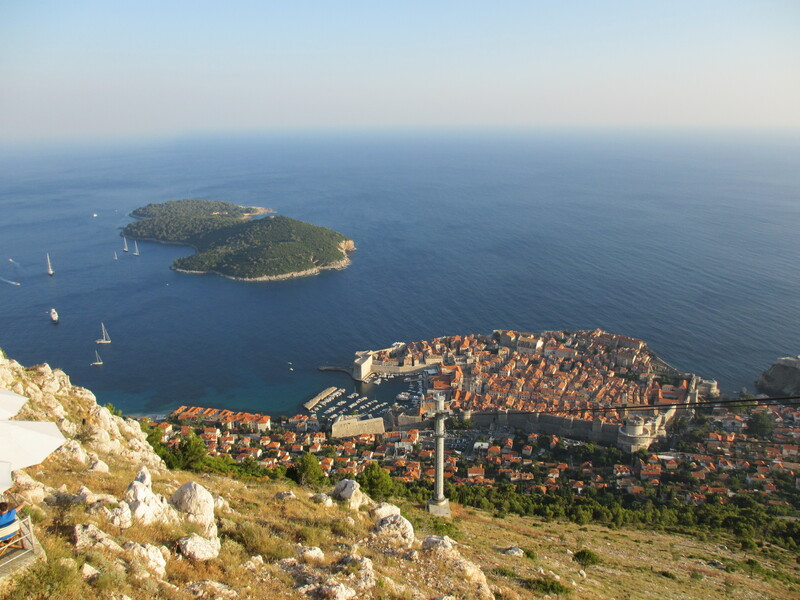 Sitting with a steep mountain to its back and the deep blue Mediterranean to its front Dubrovnik has a postcard appearance no matter where you view it. 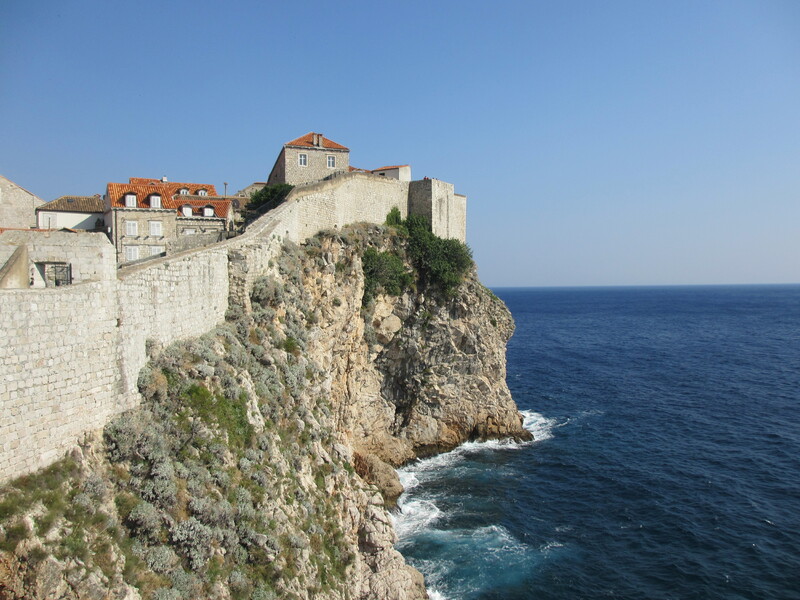 The high walls surrounding the city provide a great walk with views from every angle. Walking through the city we felt as though we were seeing the city as it looked hundreds of years ago, except for the fact that the city was heavily damaged in the 1991 Croatian war of independence. Returning to Split we spent out last day on the coast relaxing at the beach. The Mediterranean was a nice respite from the hot sun and gave everyone a chance to rest from the constant traveling that plagued our short trip. That night we finally met up with Robert, completing our family reunion, who joined us in an already packed car back to Zagreb the next day. The reunion, even though rushed, was a great time. 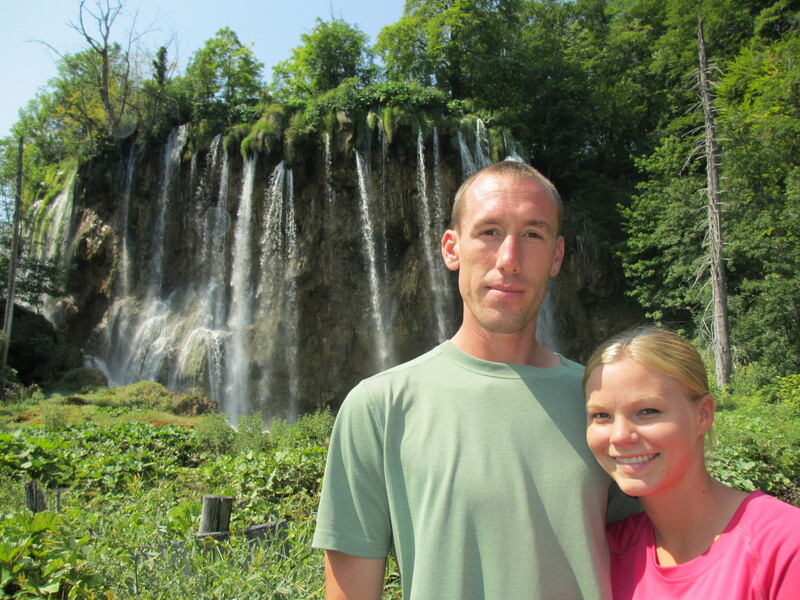 We were able to see some amazing scenery at Plitvice Lakes and enjoy each other’s company at the walled port city of Dubrovnik. From Zagreb the Johnson clan once again scattered to the winds. Me, Magan and Matthew headed to Slovenia; Sharon headed for Barcelona to meet up with the Davies clan and Jenny White for a booze cruise on the Mediterranean; Mary Grey and John headed back to Estados Unidos for Wilmington and Dunn respectively; and Robert headed to England since he can no longer go to Germany because he was kicked out for running through Alexanderplatz with a “damn jew cap“ no doubt ranting about Nazis or Zionists. 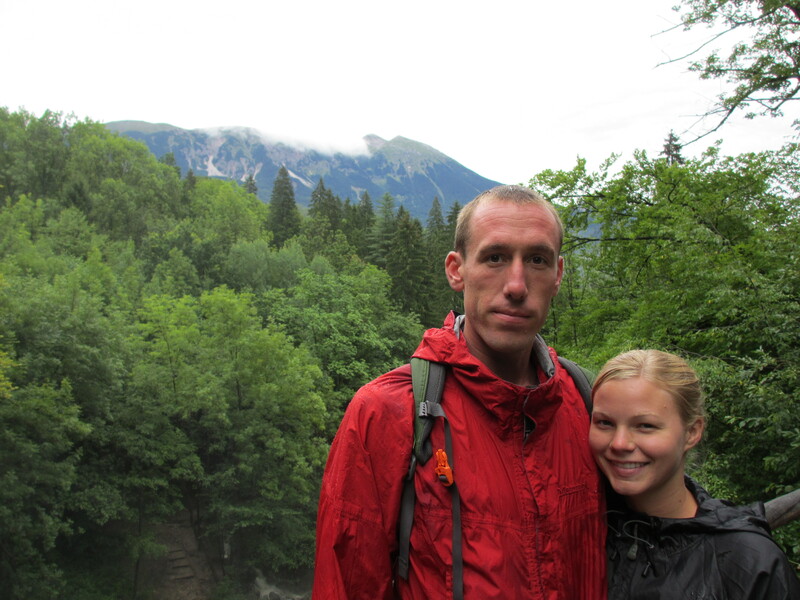 Magan, Matthew and I arrived in Ljubljana (you’re saying it wrong), Slovenia the next day and went to one of the largest caves in Europe: Skocjan. 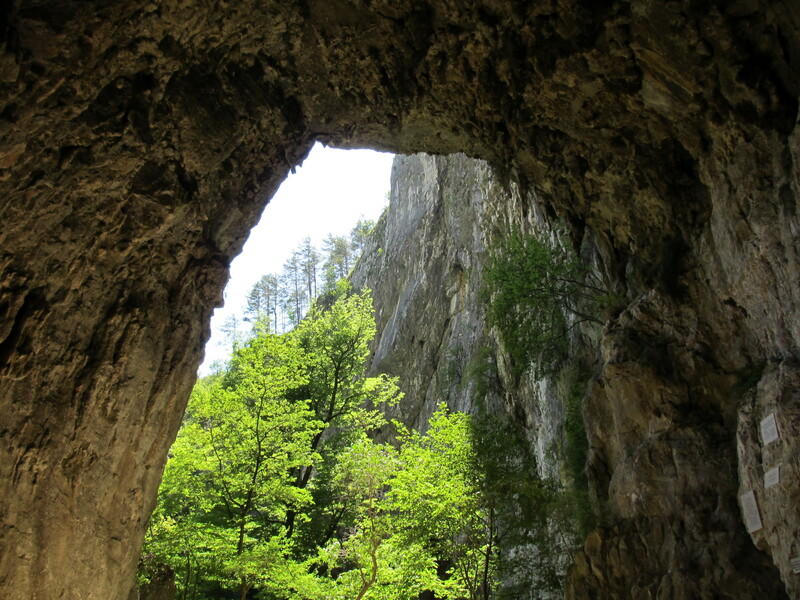 This cave complex in the karst region of Slovenia stretches for 3.5 kilometers and is between 10 – 60 meters wide and 140 meters tall. 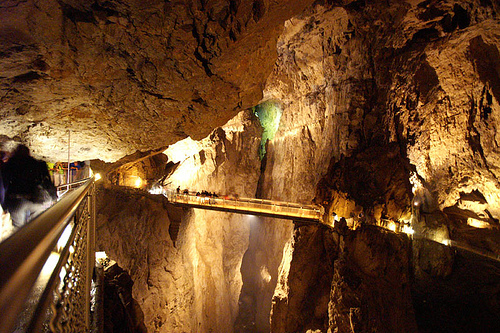 One chamber in the cave is the largest underground chamber in Europe and one of the largest in the world. 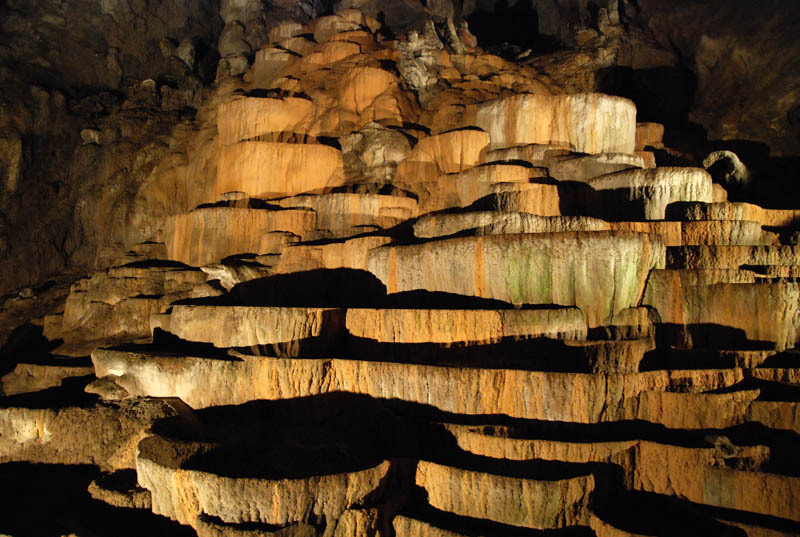 As we began our descent we noticed the dropping temperature that settled around 18 degrees C. Farther into the caves we noticed the giant stalagmites and stalactites that decorate the initial part of the cave system. As we wound downward we came to a large open area that led us to a large room called the cathedral, decorated by gigantic columns and stalactites\stalagmites. This room makes you wonder how you can be hundreds of feet below the surface of the Earth and in a room that has a floor to ceiling open area of 140 meters. Farther we traveled into the labyrinth, through other impressive rooms filled with decorative structures formed over hundreds of thousands of years (the cave itself is over 5 million years old) until we reached the most impressive room in the cave. 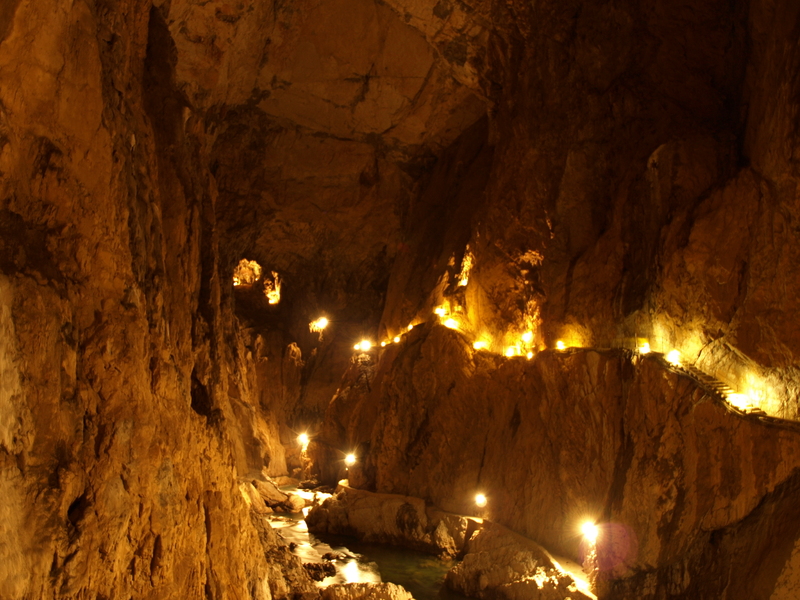 About the same size as the cathedral this room has a large chasm that is crossed by a narrow foot-bridge elevated hundreds of feet above the cave floor yet still hundreds of feet below the cave ceiling. This room is truly awe-inspiring and gives you the feeling of being in another world or on an Indiana Jones excursion. Exiting the cave the temperature began to warm and we saw a few more interesting formations before passing the hordes of bats near the exit. The final portion of the trail wound through a partially collapsed section of the cave leading us over, around and through parts of the remaining cave. Back in Ljubljana Magan and I bid Matthew farewell as he headed to Rome via Venice while we headed toward the small picturesque town of Bled in the Julian Alps. 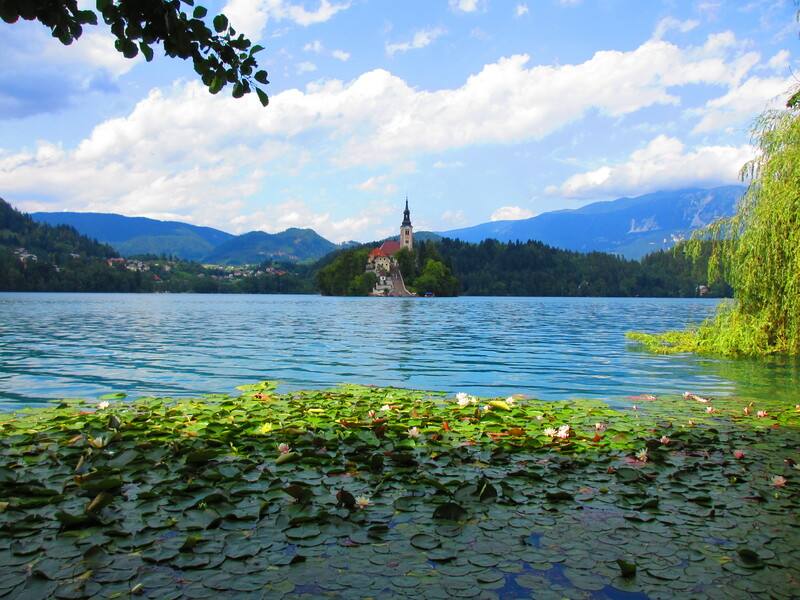 Bled is an area not often heard of, but seems to have been created for post cards. The town sits on the edge of a clear blue-green lake with a small island in the middle adorned by a lone church. 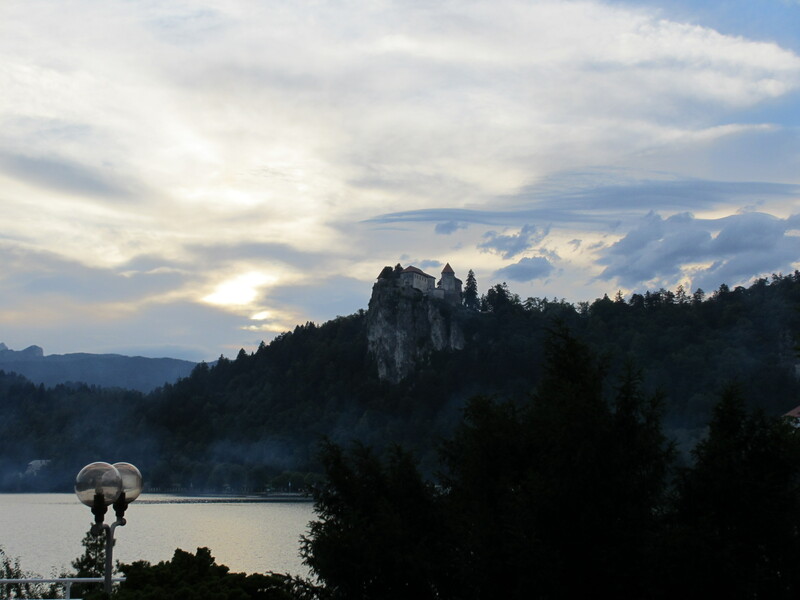 Across the lake, atop a cliff, sits Bled castle. In the background the Alps jut up surrounding the town giving it what Magan calls an ‘enchanting fairy-tale vibe’. 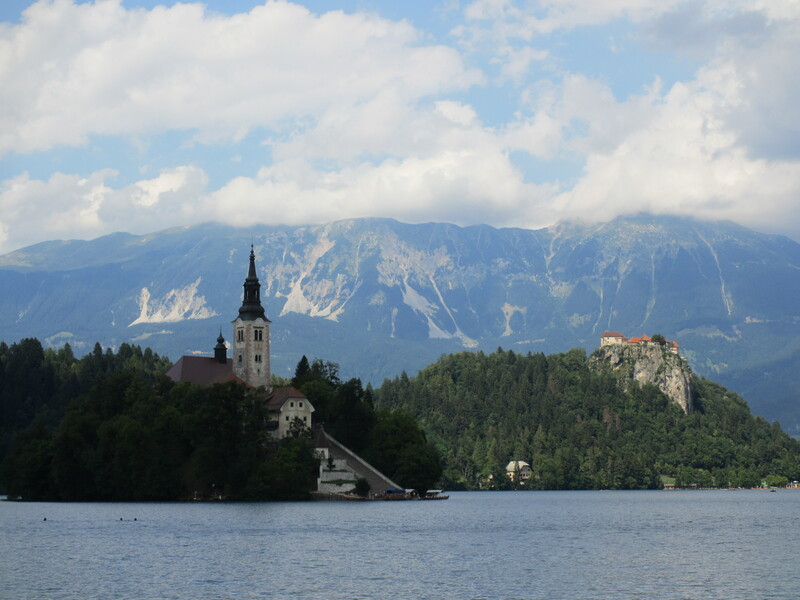 The 6 km trail around the lake gives you a view placing Bled in a category for most scenic town in the world; one that rivals Cinque Terre and Fjaerland. Since we happened to come during a festival we were treated to an air show over the lake and a laser show on the cliff below the castle. Around the lake the locals had set up stands selling handy-crafts and food. Our second night we saw the culmination of the festival where, according to our host, 30,000 candles were released into the lake creating a beautiful scene. Later an amazing fireworks show signaled the end of Bled-days.